Emaar Hospitality Group, the hospitality and leisure business of global developer Emaar Properties, has commenced renovation and redesign of the historic Alamein resort in Egypt, built in 1960 by the Sidi Abdelrahman Bay of the Mediterranean Sea and having hosted leaders including Gamal Abdel Nasser Hussein, the second President of Egypt. Located centrally in Marassi, the lifestyle and tourism destination by Emaar Misr, the all-new Al Alamein Hotel - managed by Vida Hotel and Resorts - will open doors to visitors this year. Al Alamein Hotel is the fourth hotel project by Emaar Hospitality Group in Egypt. The others, also located in Marassi, are Address Marassi Beach Resort and Address Marassi Golf Resort + Spa, both operated by Address Hotels + Resorts, the premium luxury hotel and serviced residences brand, and Vida Marassi Marina with 120 hotel rooms and suites. Al Alamein Hotel's location will make it a preferred hospitality destination for visitors from Egypt, across Europe and other parts of the world. Burj Al Arab Airport in Alexandria is about two hours' drive while the Al Alamein National Airport is less than 45 minutes away. To feature 189 rooms including luxury chalets, Al Alamein Hotel will have several enhanced features. There will be additional outdoor seating overlooking the bay's soothing waters, a beach outlet, rooftop lounge, fitness centre, swimming pool, tennis court, and spa. 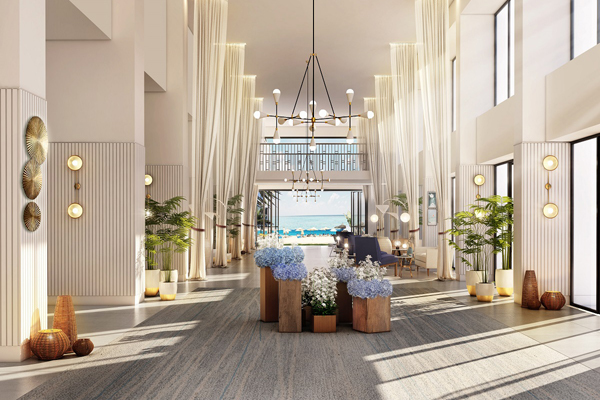 Guests will have access to the amenities in Marassi including a marina, yacht club, golf course, beach clubhouse, play areas, restaurants, meeting facilities, outdoor pools and decks. Olivier Harnisch, CEO of Emaar Hospitality Group, said: "It is an exceptional honour for us to undertake the modern reinterpretation of the Alamein resort. The people of Egypt have fond memories of the resort, and we are committed to restoring it to its true glory. With its central location in Marassi by the beach, it will offer visitors an inspiring and culturally enriching lifestyle experience."